Scent: Rich, warm, sweet vanilla aroma. Action: Antispasmodic, balsamic, calmative, emmenagogue, antioxidant, antidepressant, aphrodisiac, anticarcinogenic, tranquilizer, relaxant, analgesic, antibacterial, anticonvulsive, antidiuretic, antipyretic, carminative, diuretic, febrifuge, hepatic, hypotensor, nervine, sedative, stomachic, tonic (nerves), vermifuge. 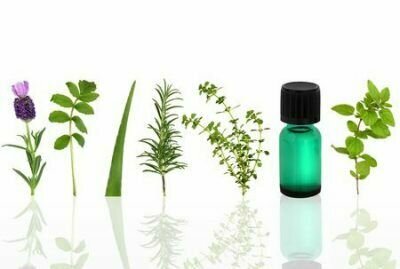 Benefits, Indications: Perfumery and enhancing the fragrance of aromatherapy and natural skin/hair care formulations. The medicinal potential of vanilla has been the subject of extensive scientific study over the past two decades. Studies have demonstrated that vanillin, the primary compound in vanilla, has anti-carcinogenic properties. More specifically, reports show that vanillin eradicates human cancer cells limits movement of cancer cells from the original site to other parts of the body. Vanilla essential oil has proved to be an effective mood lifter, courtesy of its rich, yet unobtrusive scent. Vanillin-rich oil also works in the bedroom as an aphrodisiac, where scientific studies have confirmed that vanilla oil cures patients suffering from impotency, libido loss, sexual frigidity, and erectile dysfunction. The oil works to stimulate secretions of human hormones to help promote arousal. Precautions: It is a nontoxic oil, but is not normally used in aromatherapy.